If studying abroad has always been a dream of yours, you’ve surely heard about the Ivy League Association, which is formed by eight traditional universities. However, if you’ve just started to think about it, here’s something to help you with your research. 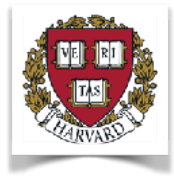 The Ivy League Association is composed by Brown University, Columbia University, Cornell University, Dartmouth College, University of Pennsylvania, Princeton University, Yale University, and, of course, Harvard University. When you think about these schools, there are three things that come to mind: academic excellence, selectivity in admissions, and social elitism. These schools are viewed as some of the most prestigious, and are ranked among the best universities in the world. 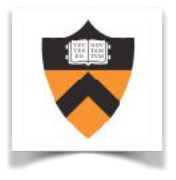 In fact, for the past eighteen years, members of this association were named the best schools in the country: Princeton eleven times, Harvard twice, and the two universities tied for first place five times. Brown University is the seventh-oldest college in the United States, founded in 1764. The institution comprises undergraduate and graduate programs, plus the Alpert Medical School, School of Public Health, School of Engineering, and the School of professional Studies. 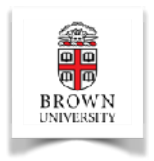 Brown is frequently recognized for its global reach, many cultural events, numerous campus groups and activities, active community service programs, highly competitive athletics, and beautiful facilities which are located in a very historic urban setting. 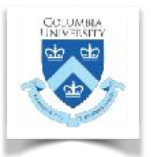 Columbia University is one of the most important centers of research in the world. Located in New York, the school prides itself in providing a distinguished learning environment for undergraduates and graduate students in many scholarly and professional field. The school seeks to attract a diverse and international faculty and student body in order to support research and teach global issues, as well as create academic relationships with many countries and regions. 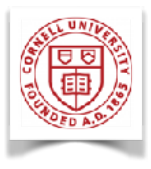 Also located in New York, Cornell is a privately endowed research university and a partner of the State University of New York. Ever since its foundation, in 1865, the intention of the university was to teach and make contributions in all fields of knowledge — from the classics to the sciences, and from the theoretical to the applied. Nowadays, the university is organized into seven undergraduate colleges and seven graduate divisions at its main Ithaca campus, with each college and division defining its own admission standards and academic programs in near autonomy. 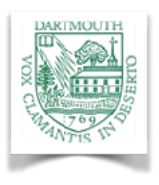 Dartmouth College is located in Hanover, New Hampshire. Following a liberal arts curriculum, the university provides undergraduate instruction in forty academic departments and interdisciplinary programs including fifty-seven majors in the humanities, social sciences, natural sciences and engineering. Dartmouth is the smallest university in the Ivy League, and its undergraduate admissions is highly competitive. The University of Pennsylvania, founded by Benjamin Franklin, has a tradition of translating knowledge into social-minded action. 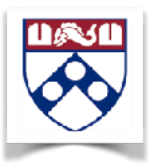 Penn was the first university in the United States to have both undergraduate and graduate studies. The school motto is “well-done is better than well-said”. Over its history, the university has produced many distinguished alumni, such as twenty-five billionaires, forty-two United States Governors, two United States Presidents, and more. Princeton is a research university which provides undergraduate and graduate instruction in the humanities, social sciences, natural sciences and engineering. The school has been associated with twenty-one National Medal of Science winners, five Abel Prize winners, five National Humanities Medal recipients and more. Princeton has also graduated two U.S. Presidents as well as twelve Supreme Court Justices and other members of the government. 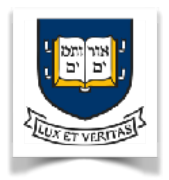 Yale University has been dedicated to expanding and sharing knowledge ever since it was founded in 1701. Its main objective is to inspire innovation and “preserving cultural and scientific information for future generations.” The school’s reach is local and international so as to engage with people and institutions across the globe in order to promote cultural understanding. Probably the most famous of them all, especially when it comes to Law School, Harvard University is devoted to excellence in teaching, learning and research. The university is based in Cambridge and Boston, Massachusetts, and it is the oldest institution of higher education in the United States, established in 1636. Harvard welcomes people from all over the world, providing guidance and information on campus to whoever is interested in studying there. We’re sure that after all that you are dying to study at one of these universities! And although they are private, therefore very expensive, they also give out scholarships for those who are smart and talented in specific areas, so everyone can have the opportunity to experience what it’s like to be an Ivy League student. Would you be up for it?